The Exquisite pattern of floral vines and intricate designs make it a perfect addition to your home decor. Be it as a center-piece or as corner one, this artifact will surely catch the eye of each and everyone. 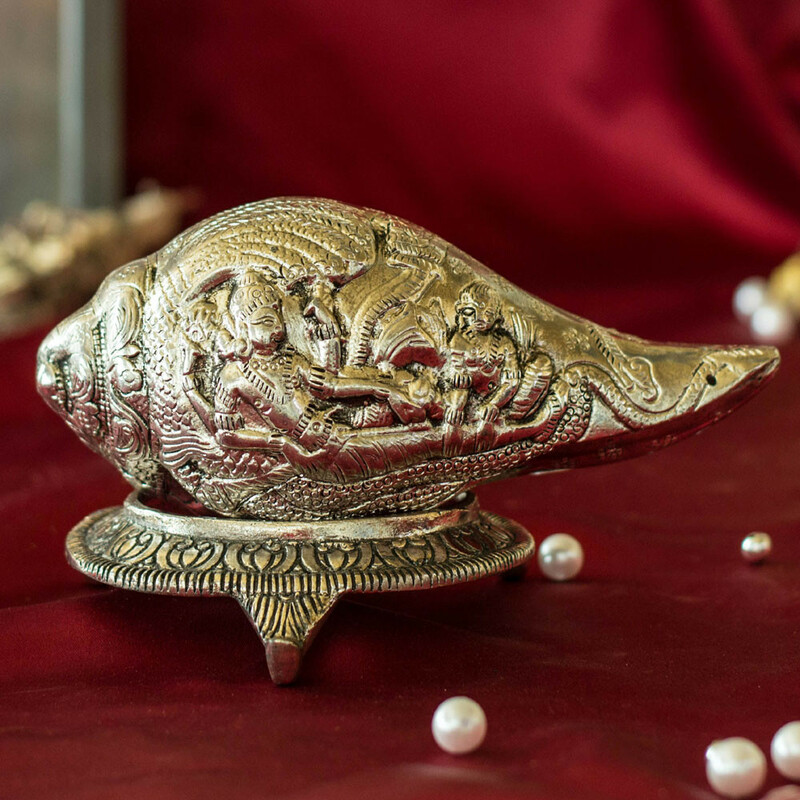 The real beauty of this Conch is in its detailed design, carved by expert artisans on copper giving it an ethnic and unique look. It is plated with silver to give it perfect finish yet maintain royal touch.